The new life of a forest protection organization recognized as a foreign agent in Karelia during Russia's Year of Ecology. 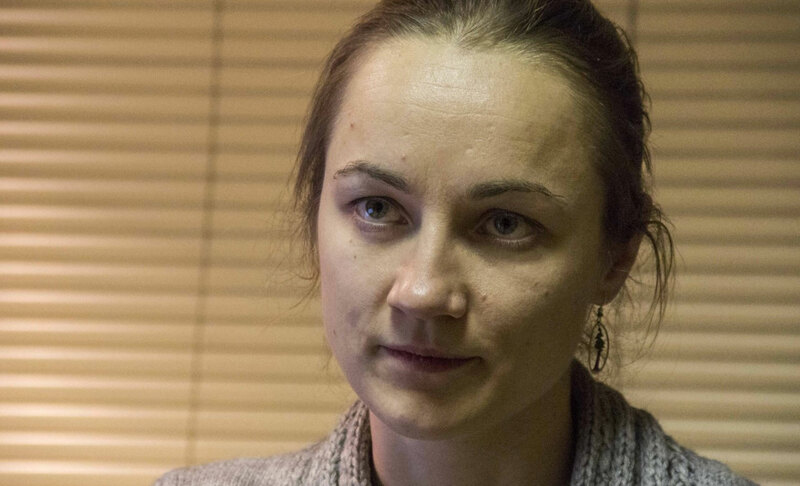 In 2015, the Northern Environmental Coalition, better known as SPOK [Severnaya Prirodoohrannaya Koalitsiya], was included in the register of organizations that perform functions of a «foreign agent». «7х7» talked with the chairman of the SPOK environmentalist Olga Ilyina about how «foreign agents» saving forests spent year 2017, declared the Year of Ecology in Russia. — The two main tasks set by the government in the Year of Ecology were to ensure environmental safety and preserve the unique nature of the country. Did you manage to reach them in Karelia? — Initially, 2017 was declared the Year of Specially Protected Natural Areas (SPNA) in connection with the 100th anniversary of the reserve system and the Barguzinsky Reserve. For some reason, as early as 2015, the year was also declared the Year of Ecology. This greatly expanded the assumed activities and made them vague at the same time. It is difficult to sum up, as the year has turned out to be both about the ecology — protection of the environment, which was given special attention — and about SPNAs. We, as environmental organization, would like to see some results related to the preservation of valuable natural objects. Unfortunately, the results are disappointing within this framework. Both at the level of the Russian Federation, and here in Karelia. Organizations — all-Russian, and others, regional ones, planned the creation of a number of federal protected areas. If I remember correctly, Vasyugansky Reserve was created. Our «Ladoga Skerries» is in limbo so far. The saddest thing in this situation is not even delays in the process, but the fact that these territories are not provided with any kind of protection. Not even from some external players, but from the authorities themselves: while the government agrees something on the creation of the park, our regional fisheries departments form new fishery areas right inside the park. In 2017, this is probably the most revealing thing: the territory is proposed to be the federal protected area, and at the final stage of the process one hand does one thing, but the other — quite the opposite. Unfortunately, it’s not all that perfect with regional SPNAs. We, as environmental organization, would like to see some results related to the preservation of valuable natural objects. Unfortunately, the results are disappointing within this framework. — What projects did you have this year? — One of our ongoing projects is monitoring of cuttings in the territory of the planned SPNAs. We have an environmental rating on the site. We constantly update the map of existing and planned protected areas. This year, something was created or added. Recently, we, a number of regional and federal organizations, prepared proposals at the Civil Forum [of the Committee of Civil Initiatives] for a separate round table on SPNAs. — Do you create maps of SPNAs yourself? — We do it ourselves, did for a long time and corrected something, the existing ones. And this year, several planned protected areas were added, and the ministry planned the release of a new book on specially protected natural areas of Karelia. The last edition is dated by 1995, it’s quite old. This is a good, important matter that inform us about our protected areas. The only thing I want is that some questions are resolved first. Many of the existing SPNAs have no clearly defined boundaries, there are questions on the regime, work with normative documents is necessary. It is managed by the ministry, but not perfectly. And before publication of a beautiful book, it is necessary to include the correct boundaries for each area. — And how are protected areas created? Is it a top-down or grassroots initiative? «Let’s make this piece especially protected»? — It depends. Basically, it’s not the ministry that takes the initiative, but some external interested parties. Traditionally, the Karelian Research Center offers some territories, we also proposed a number of territories, prepared reasoning. Now there are cases when local interested groups want to create SPNAs. 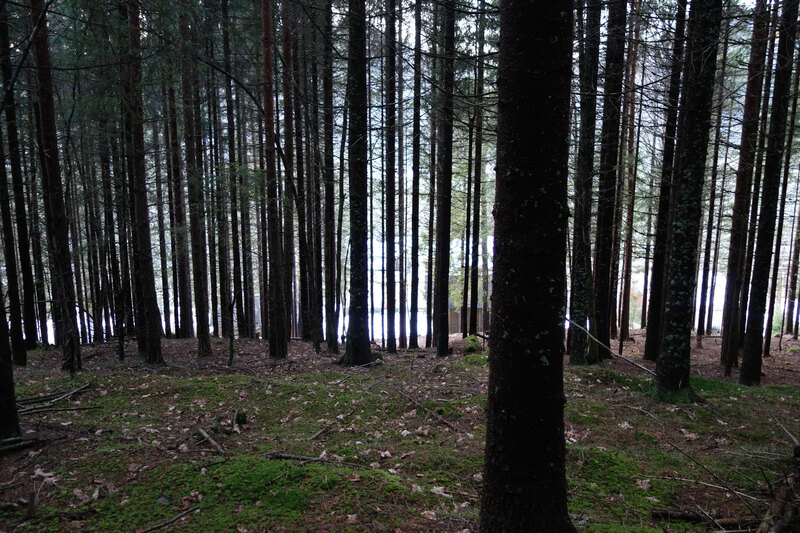 For example, the Suna Forest, and the area that was cut from the territory of the planned park «Ladoga Skerries». They got down to business cheerfully, and the reasoning is almost ready; now they will apply to the ministry. And the ministry will cheerfully report this on the results of the Year of Ecology. Although it is not ministerial achievement. — Concerning the Year of Ecology and its results: what do you think was achieved? What major achievements and disappointments can be noted in 2017 in Karelia? — Disappointments are related to the fact that attention was mainly paid to information, and not specific cases, which improved the situation in some way, educational things. They are also important, but do not have a proper effect without real affairs. Any organizations should have done this and wanted to do it, but have done just now, under the Year of Ecology. The installation of some waste treatment facilities was planned and so on. There was a chance to attract resources and solve some complicated issues related to the protection of valuable territories, but it was not executed. However, I would like to note that our ministry started working on a law on regional and local protected areas. Unfortunately, this process is behind closed doors. We prepared our comments on this bill, but it is on pause and its fate is unknown. We had a Ministry for Nature Management, now it is for natural resources; they have new documents coming out, powers have been delimited, powers of our executive authorities to reserve territories under SPNAs were clearly specified. Previously, it was not clearly specified, and it was the reason why the reservation was refused. Perhaps now, when it is done properly, it will help to reserve the territories while the survey is underway, before the SPNAs are established. — Why did information support get more attention, than real cases? Lack of money? What was not enough? — Nature protection is not a priority for the authorities. This is a topic that is remembered when they worry about something, or when local residents or environmental organizations persistently raise this or that issue. In other words, although we have strategic documents in the field of environmental safety, nature protection, but these are declarations that are not implemented in most cases. We do not have the very body that would uphold these interests. — What is the reason for the pause with the Ladoga Skerries? — There are many different factors affecting it. But one of them that matters is that we are lacking the authority for nature protection. Now at the federal and regional levels, the function on the use of natural resources is combined with the protection functions. It is quite logical that if it is under one roof, in most cases preference will be given to use, as it is budget revenues and so on. The nature protection functions are pushed to the second or third plan. So, there is no one to defend interests in the protection of nature both within the authorities, and in interaction with stakeholders. And there, in the Ladoga Skerries, there are a lot of interested parties, a lot of users. — This year, story about the Suna Forest is one of the brightest: residents managed to defend the territory. How do you assess it: is it a gesture of power, or did they listen to people and assess the situation? — I think, both, because the situation was simply unmanageable. The ministry could not take a decision on itself, and the head [of Karelia Arthur Parfenchikov] took. The decision was absolutely correct. But too late — people spent so much time and energy trying to protect their forest! — Do you follow the situation? Is all quiet there? — Locals want to form a small nature conservation area there. We help to collect materials. And most likely, such a situation will not happen again there. But we are not immune from the recurrence of it in other places, since today there is no clear mechanism for taking into account the opinion of the inhabitants about the nature use in the nearby territories. — Recently, environmental problems were discussed at the All-Russia People’s Front forum in Moscow. There was even a separate platform on environmental issues, where the Minister of Transport and the Minister of Natural Resources noted the importance of interaction between the state and society in the field of nature protection. Do you think that society interact with the government in Karelia? — Of course. But it depends on insistence of organizations or initiative groups. All-Russia People’s Front is definitely not a society. This is an organization that defends its interests, and society is usually represented by initiative groups. Our movement, for example, which deals with the separate collection of garbage, is sufficiently consistent and effective. They initially had support, now it is much less on the part of the city administration — but they are still trying to develop in this direction. There are still few active groups at the administration; the public chamber is largely represented by organizations that work in the not too conflict area, easily finding solutions. — You say that you give recommendations on the establishment of SPNAs. They listen to you, too. How do you interact with the authorities? Is that easy? — The situation changes from one year to the next. This also depends on the leaders who currently head the Ministry of Natural Resources. Five leaders were replaced. Naturally, everyone has his own policy there, plus the head also sets the trends. On some issues, interaction is easier. Work on conservation of biodiversity in forest management — at the plot level. We have been working both with the forest users, and with our ministry for a long time. They seem to be improving, now they need to be included in the regulations and so on. The situation is usually more severe with the SPNAs, it is necessary to withdraw land from the lease and so on. Interaction is worse there. And in general, it is tough to tell that we are welcomed with open arms. More like it is necessary to knock on each and every time and to get out your opinion. — Let’s move on to your organization: what does SPOK do now? — In order for us not to be recognized as «foreign agents», after we are reorganized we do not accept any funding other than private donations. Therefore, all activities — any income in chain order can be recognize as foreign financing, even if we accept from the Russian organization — if they have foreign sources, can be recognize as the activities of a foreign agent. We decided that in the current situation it’s easier for us to reformat our activities, and now we are working exclusively on volunteer basis. Only those activities are carried out that are connected with the prevention of the destruction of valuable territories. Working with forest users, maintaining moratoria on logging in valuable areas, negotiating the establishment of SPNAs, monitoring of forest management and the analyst — how nature protection and forest management is developing. As for other events for which we could previously raise finance… Now, unfortunately, we are not engaged in such activities, and cooperate with other organizations. 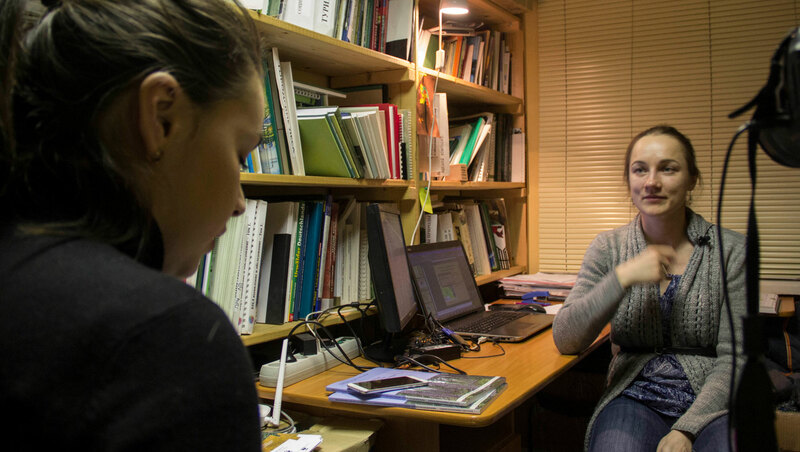 WWF [World Wildlife Fund] is interested in work, including in our region, Greenpeace Russia is also doing some work. And we, too. Let it be for now. — So, you had to give up a lot. — We try to organize or to promote the organization in Karelia, but mostly, of course, good, interesting things had to be reduced. We held a forest festival, some measures for planting, cleaning, eco-education — mostly they were reduced. — How effective were they? — Eco-education without direct, on-site cases is ineffective. But business without eco-education gives less result, since many do not know about our activities. When we try to explain the need to preserve valuable forests — this causes misunderstanding, bewilderment, rejection, maybe. When we ask for public support on some issues, it is important that people know about our activities. — The forest festival was quite popular, many years passed, and many people came to know about your activities and about what is happening in Karelia. Was it difficult to refuse this format this year? — It is always a pity to part with some things that are interesting and which receive a positive response. But, unfortunately, we always have to choose what we can do or what we can do without the threat of becoming «foreign agents». — How did you resolve the situation of last year, after searches and seizures of equipment in your office? — The situation has not been closed so far. There was no result, the decision was not made, the equipment was not returned to us, despite participation of the Presidential Human Rights Council, they also gave recommendations on our situation. Their opinion was also ignored. — More than a year already — and silence? — And from a legal point of view? — They have the right to conduct an examination long enough, for several years even. I do not know what they were doing there. — Since 2015, when you were recognized as agents, what has changed globally? — We left the organization with a staff that was constantly engaged solely in environmental issues, a volunteer organization. Today, all members of the SPOK, all those who participate in the activities, they work somewhere else and are engaged in environmental protection issues of SPOK only on volunteer basis. We refused any events that require a lot of funding. We left only those that are most important for the preservation of valuable sites in Karelia. We have almost everything in rent. Only due to the goodwill of a number of enterprises to create protected areas some sites can be preserved. — Is it possible to be engaged in the same activities, but with the support of Russian money? — To ensure sustainable work, we need different sources. While we worked in the format of permanent staff workers, our share of foreign financing was very small in comparison with similar organizations. We also had state contracts (what we won in the competition), there were grants, Russian subsidies from our regional ministries, contracts with companies for some training. There were many different sources, and this allowed us to constantly conduct some kind of activity and sustainably exist. But we had to refuse not only from direct foreign funds — there were not so many of them, and it would be possible to refuse only from them. Legislation on «foreign agents» allows to recognize foreigners virtually all Russian sources, except for presidential grants and budgetary funds. It is not enough for existing in the old format, we chose this option for today. Let’s see how effective this is, try to organize some things outside the SPOK, with our own forces, but with the involvement of some other organizations. — Speaking about Russian financing, how big is it? Or have you decided not to search for it? — Russian financing is possible, but it requires a very effective management. It was difficult before, when we had many different sources and we were free to choose. We were always lacking grants. Usually we did some kind of work, for example, state contract, and these funds were spent on activities that we consider to be the most important for the protection of nature. It was very difficult, and now, probably, it is possible to organize, but it will be inefficient. So much time is wasted on some managerial moments, that, in my opinion, none of the familiar organizations moved this way. Someone recognizes themselves as «foreign agents», someone, like us, refuses funding and either keeps the legal entity, but does not take financing, or simply turns into the status of an initiative group and engages in activities somehow differently. — Why am I asking this? When our country announces retaliatory sanctions, it says: «We will manage ourselves, we will produce cheese», and when it declares someone a «foreign agent» and says that taking money abroad is bad, what is offered as an alternative? To close and to do nothing? — They offer presidential grants as an alternative, but, of course, they will not be enough. There was a lot of criticism of this system for allocating funds. This year, there were fewer bikers and similar structures, according to reviews. But again: this is one source, and for sustainable work it is necessary that there are a lot of them. What happened during and after the live call-in with Putin in Apatity?